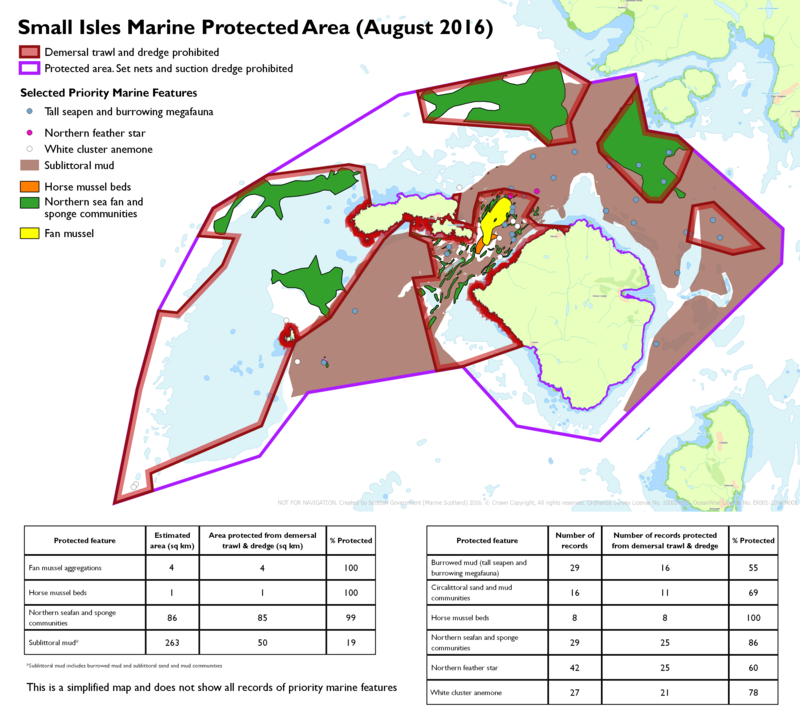 Proposed management measures for Small Isles MPA were first subject of a public consultation from 11 November 2014 - 02 February 2015. In response to that consultation Scottish Ministers decided management of the Small Isles MPA would be implemented through a Marine Conservation Order (MCO). A draft MCO was published on 11 June 2015, with representations invited by 09 August 2015. Following stakeholder feedback an updated draft MCO was published on 18 December 2015, and representations invited by 18 January 2016. After analysis of stakeholder feedback and the emergence of the site boundary issue, Scottish Ministers decided that further consideration was required before implementation. This new draft MCO is a refinement of the previous version. Full details can be found in the draft Order and map below. Please also see the associated Small Isles Designation Order consultation. 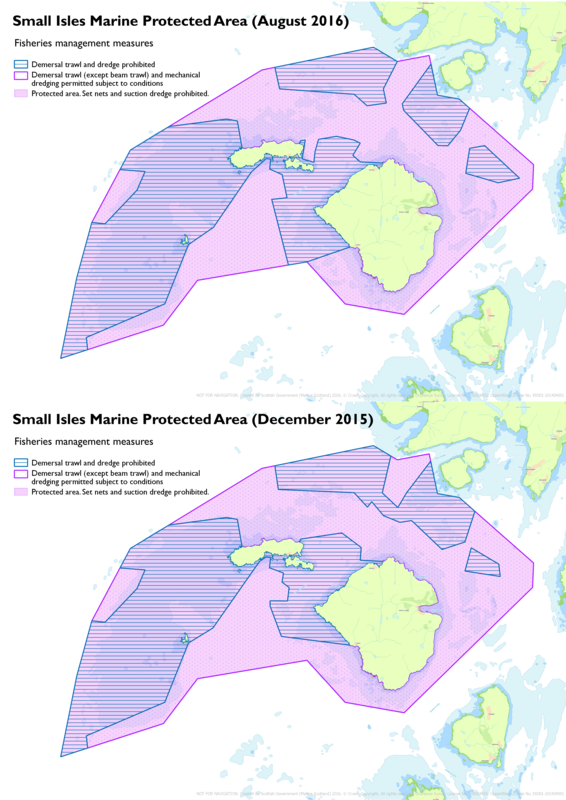 This page serves as notice under section 87(6) and (7) of the Marine (Scotland) Act 2010 that Scottish Ministers propose to make the Small Isles MPA Marine Conservation Order under section 85(1)(a), (2) and (4), 86(1) and (3) and 92(1) and (5) of said Act and all other powers enabling them to do so. 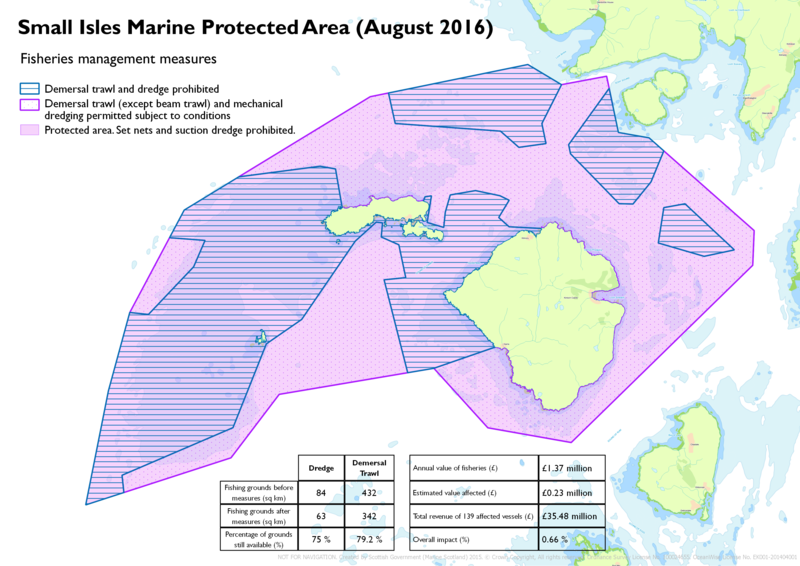 The purpose of the Order is to further the stated conservation objectives for the Small Isles MPA.